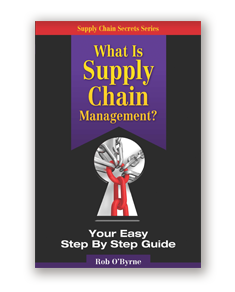 Rob O’Byrne will be releasing the next book in the Supply Chain Secrets series within the next few weeks. “What is Supply Chain Management” is aimed at those new to Supply Chain and Logistics as well as those who are not directly involved in the function but manage others who are. What a Supply Chain is and why it’s essential to most organisations. What the key elements of a Supply Chain are and how they operate together. What’s most important about making the Supply Chain effective. How to establish the right key performance indicators and reporting systems. What’s the difference between forecasting, demand planning and demand management? What all the jargon actually means! This book will be released initially as an e Book to make it available to a wider readership with a hard copy version close behind. You can contact Rob through Email or +61 417 417 307.